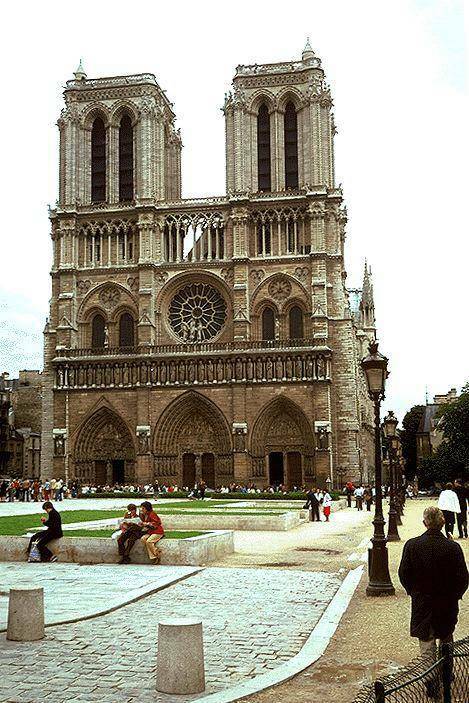 Notre Dame Cathedral in Paris (France) is the French Gothic style. It built from 1163 to 1250. The interior elevation was originally of four levels. The high vault (over 30m - 110 feet) is sexpartite, covering double bays.